Flex-Pack offers innovative plastic products for the agricultural, horticultural and food industry. What our products have in common is a high quality standard and a unique added value. This added value always saves money or increases revenues for the end user. We take the time to help our customers and test our products on site for their specific use because we understand that our products are only a small part of a big process. Do you need to temporarily store your furniture? 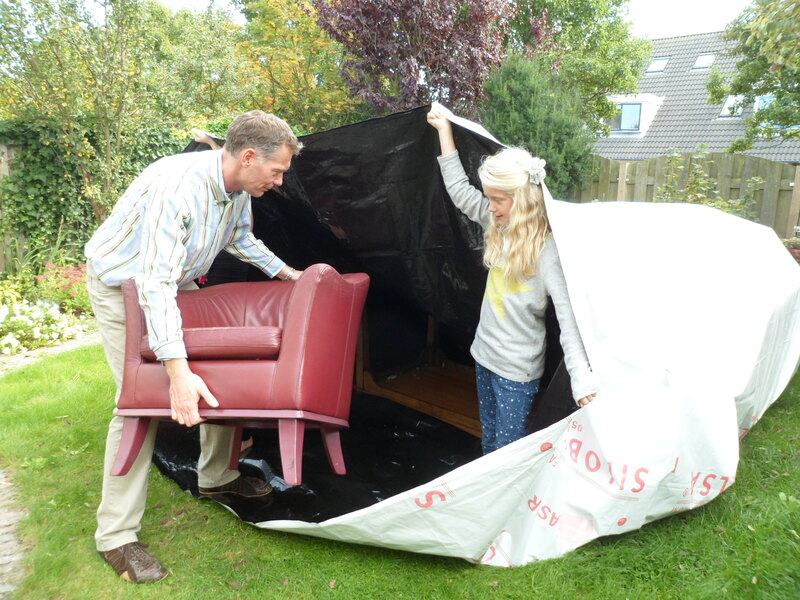 The Cocoon storage system makes it possible to keep your furniture in a waterproof bag on your own premises. You are no longer limited by a shortage of space, remote warehouses, vans or moving companies. You can now store your furniture within 30 minutes in your own backyard.